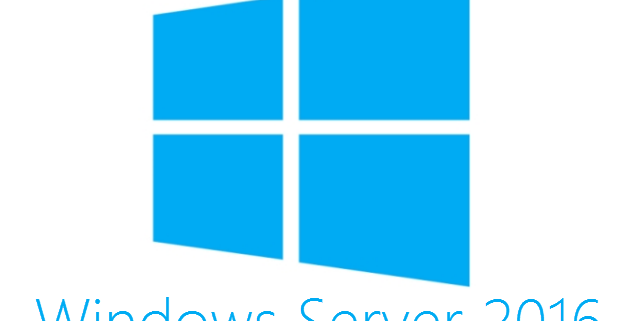 On October 12th, Microsoft released their latest server operating system – Windows Server 2016. To ensure your success, we’ve gathered a list of the top 5 things you need to know. We’ve been preparing for Windows Server 2016 for the past couple months, and even attended Microsoft Ignite a few weeks ago, to make sure we’re up to date on all the latest and greatest news. While TechNet has already published a “What’s New in Windows Server 2016” article, at ConnectWise we want to take you a bit deeper and call out a few things technology solution providers like you should be aware of. Then, enterprise customers wanted an even slower option, so a special edition of Windows 10 was released called Windows 10 Enterprise Long-Term Servicing Branch (LTSB) – which essentially added a fourth phase / seventh deployment ring. With Windows Server 2016, the installation option you choose will determine which servicing branch you default to. Server 2016 with Desktop Experience and Core will both default to the LTSB, which is great for reducing problems in a production environment. Just be aware that the LTSB won’t include certain things, like Edge browser. There’s been a ton of hype about the Nano Server option. But before you start spinning them up in production, you should know that Nano Servers don’t use the LTSB (see above). Instead, they default to the CBB, which means more frequent patches (CBB is Phase 3. LTSB is Phase 4). Given some recently reported issues with the Windows 10 Anniversary Update, we’ll let you decide whether this is a good idea or not for your business and clients. Also, it’s important to note that Nano Servers requires Microsoft Software Assurance. Speaking of Software Assurance, you may have noticed that Microsoft is changing how they license certain editions of Windows Server 2016. Back in 2013, Microsoft introduced core-based licensing because processors weren’t a precise enough measure (since each processor can have a varying number of cores). Though, you could still get Datacenter and Standard editions under the processor-based licensing model. Starting with Server 2016, processor-based licensing is no longer available for Datacenter and Standard edition. If you were lucky enough to renew your Software Assurance agreement recently, this won’t apply to you until renewal. Even then, during renewal, you’ll get 16 core licenses for each applicable on-premise processor license and 8 core licenses for each service provider processor license. On the plus side, if you opt for Datacenter or Standard under the core-based licensing model, you’ll now be able to use one of the most talked about features of Server 2016 – containers! With either of the core-based editions for Server 2016, you can run unlimited Windows Server containers by sharing the host kernel. If that’s a security concern for you or your clients, then you’ll want to use Hyper-V containers to isolate the host’s kernel from each container. Just know that unlike Windows Server containers, you can only run 2 Hyper-V containers on each Standard edition server. If you want unlimited Hyper-V containers, you’ll need Datacenter edition. But whichever choice you make, both types of container can work with Docker. When upgrading to Windows Server 2016 from a prior version with antivirus installed, you may run into problems. That’s because the upgrade process installs and enables Windows Defender by default. The new policy essentially says that Microsoft will only support the current version and once they announce End of Life for a product, you have 12 months before support ends. Given the heavy push to Microsoft’s new serving model for Windows 10 and now Server 2016, it’s a safe bet that the list of products this policy applies to will grow. When it comes to the release of Windows Server 2016, there’s a lot to digest (known issues, PowerShell 5.0, WMF 5.1, Just Enough Administration, IIS 10). Given the number of clients you support that may ask about upgrading older systems or virtualizing, we’re sure you’ll have plenty of opportunity to learn more… but before your clients ask, we wanted you be aware of some of the business and technical nuances. This post was provided by one of our service providers ConnectWise. Proper server rack configuration is key for every business as it provides the technological backbone. There are many options for racks, rack components, and the way they are configured. In this blog post, I will discuss the various options and best practices. What kind of rack should my business use? This all depends on several items; Business size / amount of equipment; Future expansion – you always want to plan for future growth; Available real estate – Server room size may not allow for certain racks; Environment – Do you have a secure server room? Does you need rack enclosure with a lock because your business does not have a server room? Remember, unauthorized access can cause damage to any business; Money – yes, in the end it comes down to how much money you may have available. So why, why all this need for server racks? Two simple reasons, organization and equipment security. What is a U? A U is a rack unit – A rack mounted size described as a number in U. Most server racks have 1U markings along the posts to make mounting hardware easier/efficient. How should the server rack be installed.. You should always examine the environment where the server rack will be placed. Find the cold/hot spots in the room and place the front of the rack facing the cold area to provide maximum cooling for your hardware. Ensure you also have enough space around the rack to conduct any service and don’t forget about doors/access panels that swing open. All server racks should be secured in some way. For 2 post rack systems, they should be bolted to the ground with a top ladder support heading out to the rear wall. 4 post rack systems can also be bolted to the ground but also come with screw out feet. Lastly, remember to ground your rack to an electrical panel or busbar. This task should be handled by an electrician. How should I install my rack mounted hardware? This task can sometimes be confusing as there can be many devices to mount. Easiest solution is planning! Inventory your equipment and determine the space needed. I also recommend using Visio’s rack diagram as you can get a virtual view of your rack. Before you begin mounting big devices such as servers, you’ll want to mount any cable management options and power distribution units. When the time comes to mounting main devices, I follow one rule, heaviest items on the bottom. No one wants to pick up 50lbs UPS and mount it to the top or even the middle. Example of mounted devices from the bottom up: UPS, Servers, Video/input, switches, patch panels. What management options can I get with a server rack? Some basic options include server rails, which allow you to pull out servers without having to completely remove them. Server rack trays/shelves can also be used for none rack mount compatible devices such as server towers. A must have in all server racks are cable management ducts. These can be installed on the side of racks or in between switches and patch panels. They provide a clean look and make management easier. 2 post server racks can also be fitted with 2 post rack adapters that allow full rack mount spec or 4 post systems to be mounted. That’s all I have for now, hope this has helped those reading. High Availability, ISP, VPN, Servers, and Your business. You see and hear the buzz word swarming around the internet of networks with special setups that tout “High Availability” or sometimes commonly known as “H.A.”. What is it? What does it do for my business? Ultimately in today’s economic climate… Can I afford not to have it? There are actually different types of HA that you can implement into you IT infrastructure. At its core, HA is a system designed implementation that ensures a certain absolute degree of operational continuity during a given measurement period. In simple business terms, HA makes sure your employees are able to continue working even if primary service providers or servers or your local network experiences some sort of an outage. Yikes! Can you afford to send your employee’s home because your office internet connection is down? And your ISP is telling you sometime between 9am-6pm repair ETA. Can you afford half or potentially a full day of employee downtime because the file server is being re-built from the Ground, Up? Can you afford to have your website, email server, FTP server, and/or other in-house hosted services go down!? For small to medium sized business, you need a solution – High Availability. Most administrators of small to medium sized networks are probably already assuming you need twice the amount of hardware, extra connectors, licenses, and more. Depending on the current network equipment you have, High Availability to a certain degree can very easily be a viable option.Lets take a very common scenario as a prime example of what High Availability can do. Your Users: You have a user base of 30 people. All with varying job tasks which rely heavily on internet access to go about those tasks. Your Network: Your have DSL service from your local ISP. You have a Cisco router/firewall, medium grade switch, a file server and a Directory server, and a few occasional remote VPN users. The Outage: Your internet is somehow disconnected or cut off! Covad can’t help until they send a 1st level support tech to check their field equipment, someone between 12pm-6pm. And this may not even be a field equipment problem. you have 30 people grumbling they can’t get work done. you have 30 people grumbling they can’t access your online company email. you have 30 people standing around the water cooler. you have the CEO at a remote location unable to access the internal company files. your travelling remote sales associate can’t make the sale because they can’t VPN to access the internal company sales files. you’re at the mercy of your local ISP’s support to fix the problem in a timely manner. With a very simple High Availability setup, you could be saved. This is a very common and possible situation and a High Availability setup may alleviate the frustration, anger, and the ever possible firing of office employee’s.By choosing a business level Cisco router, you get the benefit of a very customizable and upgradeable platform. You may think the price for Cisco equipment is high, but their products are truly made for business. You would never want to trust “home” equipment to run your core business infrastructure do you (this is another topic)? The Answer: To avert a potential disaster, you have a very short shopping list. All you would need to implement a “High Availability – Dual ISP – Redundant internet connection – Redundant VPN” office network is a specific Cisco hardware module aka “WIC” module, a secondary DSL internet provider (other than your primary -Covad), and a few minutes during office downtime to get it all installed and configured. Total hardware cost can easily be had for under $300, and total monthly cost for a secondary DSL line might be $25 (shop around). If you didn’t have a High Availability setup, you may have lost MORE due to the office down. Lost employee production, lost sales, lost clients, lost trust, and who knows… a Lost Job. “The Outage” has been avoided. Your High Availability Cisco router setup automatically switched over to the secondary ISP, and you were alerted of the switch over. Your employee’s continue along with their tasks, and may not have even noticed the internet disruption. And because you were alerted of the ISP failover, you can easily send out a “Daily Tech Update” to your remote and C-level staff, letting them know to use the secondary Cisco VPN profile or to call you for assistance. The failover change was nearly invisible. Staff trust of the network maintained. President, CEO’s and Management trusts you’re the right guy. Staff maintains or gets new sales, customers, service. http://www.netcal.com/wp-content/uploads/2015/11/netcal_logo2.gif 0 0 ktrang http://www.netcal.com/wp-content/uploads/2015/11/netcal_logo2.gif ktrang2009-02-03 17:27:182017-07-04 23:21:22High Availability, ISP, VPN, Servers, and Your business.